New collections of cannons and other scenic pieces designed to show the use of artillery and gun emplacements on the battlefield. 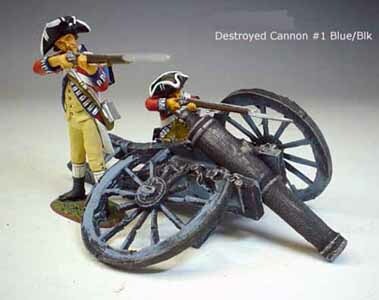 Use on Napoleonic, American Revolution and Civil War era Battlefields. Made in resin and scaled for 1:30 - 1:32, ideal for use with Britain's, Conte, King & Country, Frontline and many more collections.